Winter driving can be a mess. What’s worse is the dirty, nasty road grime that’s dragged into your garage at the end of the trip. Months of salt exposure can eat your concrete. What you need is an effective, affordable garage floor protection system. Garage Floor Protection from Road Grime and Corrosive Salt. Chunks of dirty ice eventually melt then spread out over a wide area of your garage, often seeping into the drywall and lumber of your garage walls causing costly damage. 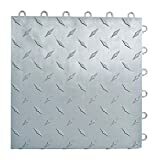 The Garage Diaper™ and Garage Liner™, are unique, disposable, bio-friendly garage floor spill protection systems for automobile garages, motorcycles and aircraft hangars. 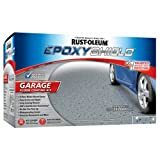 This garage floor protection system also works well in summer months to contain automotive fluid leaks and dirty rain soaked vehicles from making a mess of your garage floor. Rubber or PVC garage floor mats will cost a minimum of $2 per sq/foot and hold on to dirt and oil. The disposable Garage Diaper system costs about 30 cents per square foot and protects any floor from getting filthy. You can buy almost 10 Garage Diaper kits for the cost of one rubber or PVC floor mat and trim. For more information please contact us using the contact form.